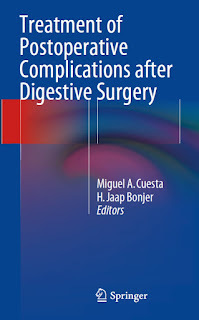 You can download Treatment of Postoperative Complications After Digestive Surgery by Miguel A. Cuesta and H. Jaap Bonjer free in pdf format. Any surgical intervention, elective or acute, may lead to postoperative complications. Moreover, the pertaining approach - laparoscopic or open - will probably not differ in the morbidity rate after surgery. Complications that occur after a surgical intervention can be classified as major or minor. Major complications to the digestive tract after surgery imply in most of cases a leakage of an anastomosis, bleeding in the abdominal cavity or in the tract, the appearance of intraperitoneal abscesses, or surgical site infections and wound dehiscence. These complications, depending on the organ affected, upper GI, HPB tract or colorectal, are associated with high morbidity and mortality. Early suspicion and diagnosis, followed by an early and effective treatment is imperative in order to reduce the morbidity and mortality. Adequate treatment will involve a good coordination of the three disciplines involved in treatment: the surgeon, the intervention radiologist, and the gastroenterologist. Approach of these postoperative complications is changing constantly and these changes are not properly known by general and more specialized digestive surgeons daily involved in the treatment of these diseases. 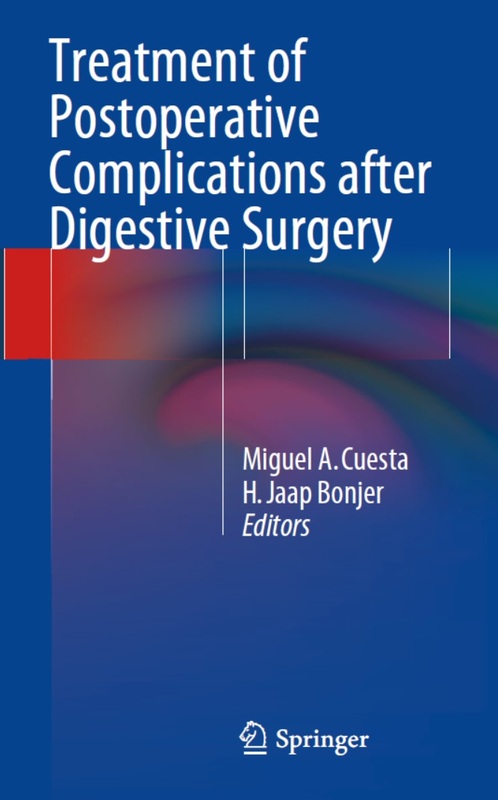 The proposal for this book is to offer a systematic description of the most frequent complications occurring in the three above mentioned parts of the digestive tract. In this way, the reader will have access to a practical book in which every current complication can be easily recognized, along with relevant information as guide for an adequate treatment.